Rooter, its name can make anyone think that it is an app for rooting android phones. That’s what I thought. Every time I saw this app on play store I just ignored it since I didn't want to root my smartphone. But one day, I saw this app on my friend’s mobile. That’s when I found what Rooter really is. I was a bit shocked to see that; Rooter wasn’t a rooting app but a Predict & Earn app. I joined Rooter a few months ago and found it to be a great app to earn some cash. So I thought to write this Rooter review to help you earn from it. In this review, you will learn what Rooter is and how you can earn from this app. On Rooter you can predict on live matches. You earn coins if your prediction comes true. The coins you earn can be redeemed for PayTM cash, Amazon Gift Card or other merchandise. 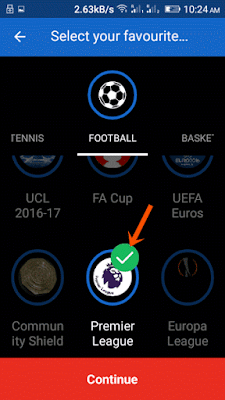 Now you can predict for as much as 7 different sports and also stay up to date with the latest news related to every sport and live Scores. 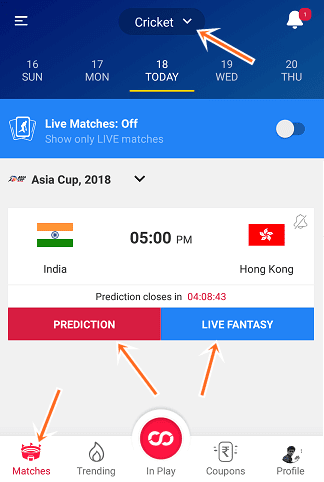 Here is the description of Rooter on Play store: “Make predictions during a live match, connect with other fans near you on the match forum, root for your team, see who the best Rooter is and much much more. Your live match experience will never be the same. Ever wondered how it would be like if there was a way to find people you don’t know with similar sport interests around you? A person supporting the same team or supporting the same player living around your work place or home? Isn't it boring to sit back at home and watch matches alone? 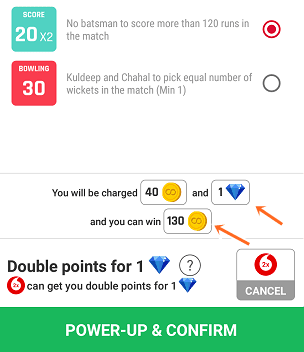 Rooter is a simple predict & win app which allows you to predict during live matches and earn money. Rooter is quite simple to use, the layout is self-explaining. Its simple design is just one of the things that encouraged me to write this review. It’s so easy to use that even a 10-year-old could earn with it. It took me less than 10 minutes to figure out the concept. If you forget something, you can rush to Rooter’s own HOW TO PLAY page for help. How to Earn on Rooter? Here’s the step-by-step guide to help you make money faster. Download the Rooter app from this link. And log in with your Google, Facebook or Twitter. As sign up bonus, you'll get 1000 coins and 100 Gems. And now you are ready for step 2. Step #2: Select Your Sport(s). So, what’s your favorite sport, Cricket, Football, Basketball, Tennis..? You can choose any of the 8 sports or all of them. I recommend you to choose all the eight games. “Why?”….. Well, because you can only predict for the sports that you select and since we all know a thing or two about these sports and that’s enough to make the predictions/pick your cards (I’ll explain ‘cards’ later). This option is only available for cricket. For other sports, you can only select particular league/tournament/championship. But no matter what league you select you can predict for all leagues/tournaments for that sport. During sign up, Rooter will ask you to select your sports and your favorite team too. You can change your selections at any time, from the menu/side bar. Step #3: Make Prediction/Pick your Cards. On the home screen, you can see live matches as well as upcoming matches for the selected sport. You can generally predict 30 minutes before the match begins. For cricket matches, you can predict for the first round before the toss. Every sports match is into different rounds based on sessions. For example, a T20 match is divided into 4 sessions of 10 overs each. So you can make predictions for every 10 overs(there are 4 rounds). To make predictions tap "PREDICTION" →MAKE YOUR PREDICTION. You can make predictions by selecting cards. So, what’s written on the card? “ Dhawan or Rohit to score more than 26 runs in the match” It’s a possible scenario. It may or may not happen. 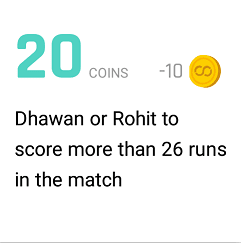 When the prediction written on this card comes true ( Dhawan or Rohit score more than 26 runs in the match), the user will earn 20 coins. Simple right? 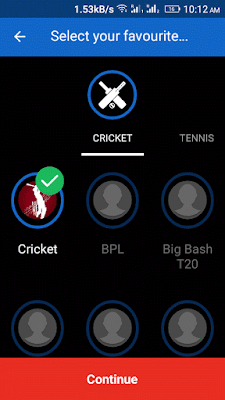 For every round, you will need to select 4 cards 1 from each section: Batting, Score, Fielding & Bowling. Now select the cards (events) which you think can occur in the match. Each card costs 10 coins, but they can earn you 20 to 50 coins. There are 3 types of cards 20 coins, 30 coins & 50 coins card. 20 coins cards/events have a high probability, 30 coins cards have medium, and 50 coins cards have a low probability of occurring. Each card will only cost you 10 coin. Once you’ve selected your cards ‘Submit’ and confirm. On the "confirm" screen you can see how many coins have been deducted and how many coins you will win if all your predictions come true. You can win 2x coins for the prediction (card) you select. You can only double your coins for one card per match. To double the coins tap on the 2x Add button on the right corner. Now select the card for which you want 2x your coins and tap on confirm. 1 Gem will be deducted for using the Power-up. For example, you want to double your earnings for a 30 coins card. only 10 coins will be deducted from your account and but if the prediction comes true you will get 60 coins. So it's a win-win situation. After confirming you can’t change your cards. An ODI match is divided into 4 sets of 25 overs each. You can make predictions for every 25 overs. A test match has 3 sessions on each day of 30 overs. You can make predictions for each session. A 20-20 match is divided into 4 parts of 10 overs each. A Kabbadi match has 2 sessions- first half and 2nd half. Tennis games are divided into sessions as per each set. Basketball is divided into two sessions of two quarters each. 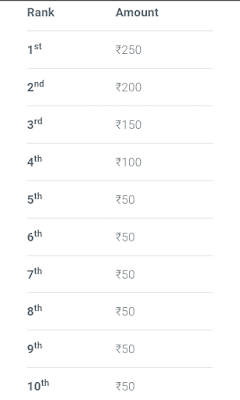 You can also win PayTM Cash by ranking in the top 10 in the leaderboard (users who earn the most coins in a match). Prizes are not specified. The PayTM prizes will be sent to your registered number within 6-7 business days after the match. To play Live fantasy you need to pay an entry fee of 300 coins. After that, you'll need to select 4 players- 2 players from the top scorer section and 2 from low scorer(score refers to fantasy points). After creating your team you can join a private group if you have invite code or you can join any public group. You will win coins and Gems depending on your position. Now you can earn more coins by earning the most coins in a group. You can accept a group invite if you received one. Or you can create your own group. A group serves two purposes- 1.It lets Rooters chat and communicate 2. It helps you earn more coins if you rank in the leaderboard of the group. But to be eligible to win coins you need to pay 5 coins to participate in the match-contest. A contest is: when the group admin adds a live match to the group which costs him 5 coins as a participation fee and an invitation is sent to every group member. Now the members can accept or reject the invitation. Accepting it will cost the member 5 coins. In the end of the match, coins will be distributed among the top 5 participants who have earned most coins during the match. Amount of the coins won depends on the number participants. Be one of the top 10 Rooters(earn most coins) in a sport during a week and win PayTM cash prizes ranging from Rs. 250-50. Each sport has a separate Weekly Leaderboard. For example; Football and Cricket have separate Leaderboards. A weekly leaderboard is calculated from Monday until Sunday of a week. A match is added to weekly leaderboard after it ends. All leaderboards are calculated in GMT. 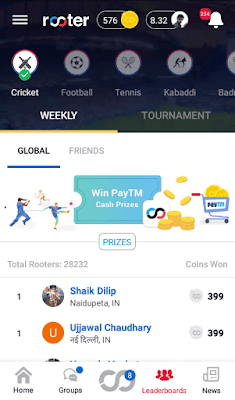 The users who earn most coins during a tournament like SRL Tour of India or BPL- are awarded from Rs.25-500 of PayTM Cash. To enter the tournament leaderboard, you need to play the prediction game of at least one match of the tournament. Prize money will be transferred to your PayTM account. Invite friends and get 250 coins and 6 Gems for every friend that verifies his number. And for being your referral your friends get 1000 coins and 100 Gems. You can redeem your coins for Paytm coupons. 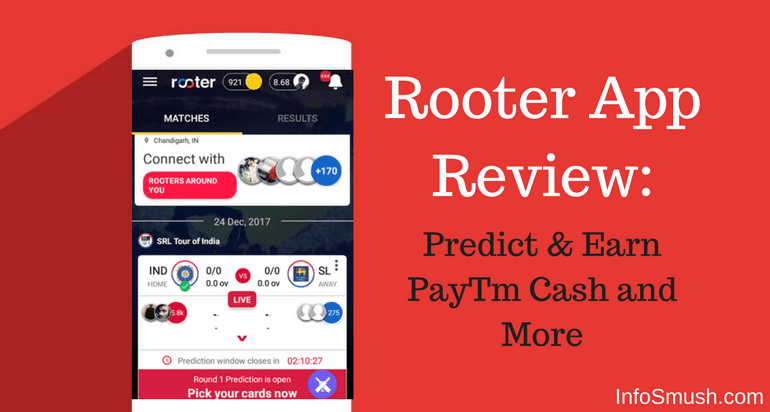 Rooter is one of the best apps to earn paytm cash by making predictions. And the best part is you don't even have to spend anything from your pocket. It's absolutely free and fun. Rooter is not only for earning money, but also to allow sports lovers to interact with each other.